I once went all the way to Las Vegas to hang out with Jack Ruby’s old buddy, Breck Wall. I was just reading DMN dining critic Michalene Busico’s gorgeous review about The Adolphus’ FRENCH ROOM. 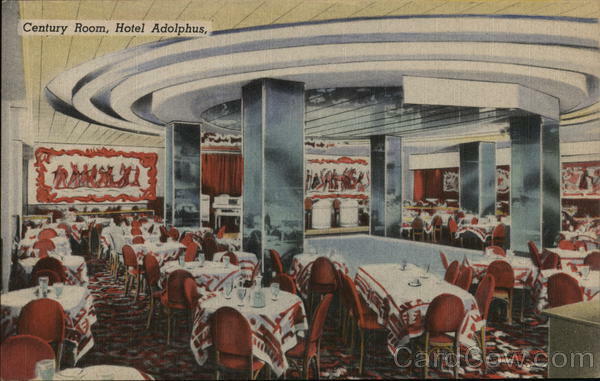 How far was the Adolphus’ CENTURY ROOM — where Breck Wall’s lusty “Bottoms Up!” revue played before heading to Vegas? TIDBIT: As for Breck Wall (he was a transvestite who appeared in a cross-dressing revue called Bottoms Up that played at the Adolphus Hotel), which was located across the street from the Carousel Club. Three years later, Wall was the last person to speak with Ruby prior to his death. — “Caught in the Crossfire,” by Adam Gorightly.